Big Or Small. Always Loud And Clear. Standing out is important, we feel the same way. What makes us unique is our ability to produce many formats of print media, eliminating the need of sourcing different projects to different printers. This eliminates steps, dramatically shortens turn-times and more importantly - overall cost without sacrificing quality. Our large format division prints, kits, and ships many types of complete signage projects on a wide variety of substrates from flexible through rigid. We produce high volume in-store retail signage, rout, score, and cut custom shapes, create packaging, print banners, posters, and everything in between. We have made cutting edge investments in back-end technology and the newest equipment to offer a very robust solution for any size project and budget. The perfect solution for any large format project. 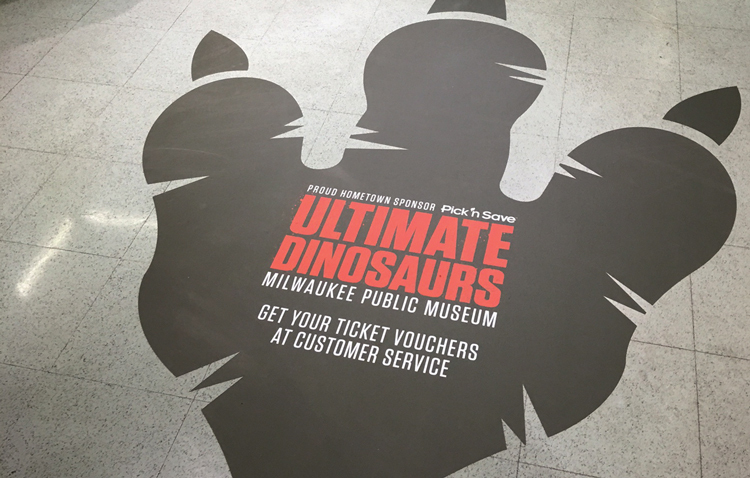 We print direct to substrate up to 2.5" thick, including photorealistic paper, floor decals, ultra board, vinyl, KATZ board, styrene, coroplast, komatex, foam-core and more. 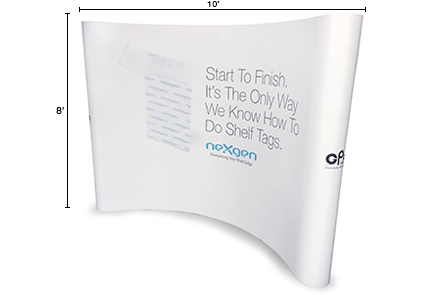 We utilize white ink on clear substrates and can print finish sizes of 5' x 10' on rigid substrates. Floorstands, Aisle Signage, Blades, Pump Toppers, etc. Our high-speed finishing table eliminates the need for die-cutting on small run projects. Perfect way to create custom packaging, sample boxes, large format cut-outs, custom shaped promotional signage... it even etches glass and metals! We've Been Cutting Corners Since 1956. These Days However, We're Doing All Shapes. 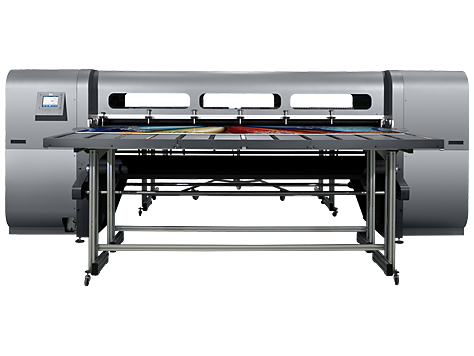 Our digital cutting table represents a new standard in digital finishing. We can now cut any shape, from round cornering to the most complex. 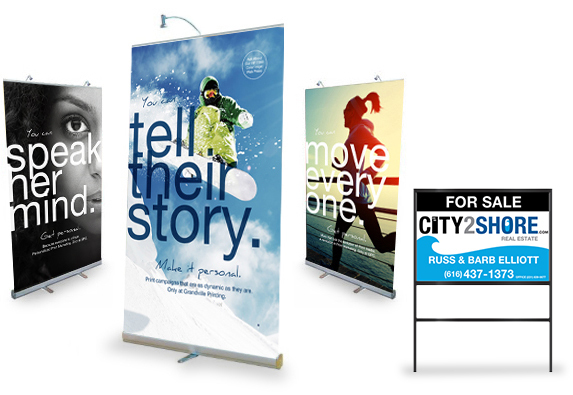 Perfect for custom promotions that are quick turn-around. Watch how quickly and accurately we cut custom signage! First the machine perfectly cuts tiny holes so the signs can hang from ceiling wires, next it cuts the circular shape. Finally, the conveyor dispenses the finished product. We understand the retail store environment, that's why we provide print solutions "from the door through the store". Use us for more than shelf-edge marketing and point-of-purchase because we also offer simple posters all the way through permanent signage. Our all digital workflow allows for quick turn-around, variable-data, and even quantities as few as one! Aisle signs, headers, blades, end-caps and more! All of our signs are digitally printed so each one can be unique. Since the art can be swapped out, these fixtures can be re-used time and time again, making them an investment, not just an expense. We make it simple and affordable for any budget. Short runs - no minimums! Murals for retail spaces, offices and other types of commercial and public spaces can be done to support an architectural vision or simply to create a unique atmosphere. We print your own custom image or our design staff can create anything you can imagine. We automatically splice the overall image into manageable strips which can be hung like wallpaper. If you would like additional information about choosing and enlarging images for optimal use in wall murals or installation, a GPC representative can help. Start with a clean, primed or flat latex wall base. Use standard wallpaper paste, book each sheet, let set for 10 minutes. Use the same process as hanging traditional wallpaper. Trim top and bottom as needed, wipe excess paste. Let dry for 24 hours before re-applying switch plate covers or wall decorations. GPC custom wallpaper will add a dynamic focal point to any room! Great for kids rooms, play areas, business lobby's, and restaurants. The possibilities are truly endless!